We have just launched the Chuck Norris Facts page. 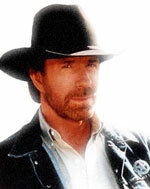 This page (available in english and french language) displays a random Chuck Norris Fact, as well as top rated facts. You should have some fun enjoying its simple design with sounds and without advertisements. With over 8,000 Chuck Norris Facts, we currently offer one of the largest collection of Chuck Norris Jokes available on the internet. Beware that this page can become very addictive! Welcome on the brand new Cocci Software web site. We hope that you will enjoy our very basic site, and post a lot of comments.